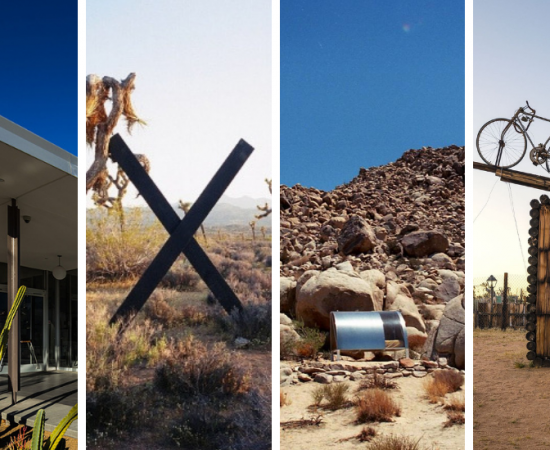 Be among the first to see the second edition of Desert X, a boundary pushing, environmental art biennial in Palm Springs and the surrounding environs. Join Verge’s Founding Director Liv Moe, for the three days of art and design set against a beautiful desert landscape. Trip activities are scheduled for February 11-13, 2019. DAY THREE will focus on Desert X installations in and around Palm Springs. Purchaser responsible for all travel expenses including airfare and hotel. Verge has secured a special room rate at the Kimpton Rowan Palm Springs for attendees of this tour.